Garage Door Repair Fayetteville is a professional provider of a wide variety of services relating to residential garage door repairs, maintenance, replacements, and installations. We have a team of highly skilled and experienced technicians who are here to help maintain your garage doors and restore and repair them when they require it. Give us a call today to find out more about the services that we offer, or browse our website for further information. Here is a little more about how we can assist you. As you use your door, its many components are put under enormous weight and pressure. Over years of regular usage, the components begin to wear down, at best rendering them less effective, and at worst, causing them to become potential hazards. When parts begin to show signs of trouble, it is best to schedule professionally conducted garage door repairs, which is what we are here to do! We can help you to keep your doors in top condition for longer through routine maintenance that is designed to extend their longevity. 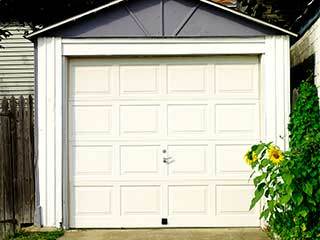 Our team offers routine garage door services such as lubrication, spring replacement, and alignment. Our technicians are thorough and will ensure that potential problems are dealt with before they arise, thereby keeping your doors and openers in peak condition. When you need to have a specific component in your door replaced, or you wish to have a new automated system installed, our team has the skills and experience needed to ensure that the job gets done properly. Contact us today to find out more about our garage door replacement services. We at Garage Door Repair Fayetteville are at your service, ready to help with any problem you are having with your door or any of its parts. Contact us online or give us a call anytime if you have any questions or would like to schedule!